This is another Request from Drew. I like your requests Drew. Before we get into owls we need to talk about how we communicate with and interpret specific vibrational patterns we call archetypes. Owls, in fact, all of nature, from the bugs, to the trees, to the crystals/rocks, each represents different archetypes found within the universe. This is one reason why Pleiadian teachings describe our planet as a” living library.” The vibrational patterns that make up animals form archetypes in our unconscious mind when we perceive them. We also know these vibrational conglomerates (archetypes) as symbols and they act as a stencil in our mind influencing our thoughts and feelings. On a subconscious level we are communicating and interacting with the living, vibrating, symbols around us at all times. We do so via our own personal resonance (we are mede up of or archetypes too!). When we understand that beings around us are symbolic expressions of source we can begin playfully learning what their specific symbology represents within our consciousness. This is an awesome way to learn about yourself and others as we all have kinships with certain totems and guides. Ultimately the totems that we connect to tell a great deal about our own base frequencies.We can get a deeper look at what kind of personality we have, how we interact with others, how we face the world etc. Our intuitive mind speaks through symbolism. Our subconscious, intuitive mind is the one who does the work when we connect to the subtle vibrational world around us. Symbols and archetypes are the language of the unconscious mind and our subconscious mind is constantly recognizing and processing the archetypes all around us. Even when we are fast asleep our subconscious mind is still effortlessly communicating with us and the energies around us via the dream world. Archetypes resonate differently with everyone while maintaining their universal truths. When we mentally connect with a totems energy (in this case Owl energy) we will not necessarily get a consensus on what it represents, this is never the case with symbols. Symbols are resonators that bring forward concepts within our own consciousness that vibrate within its frequency spectrum. Symbols are like magnets that draw out any energy (thought, emotion, etc) that is within its range. They can bring forward universal truths, which is when we see a consensus in the interpretations when it comes to certain archetypes. They can also bring forward mundane personal truths in resonance with the tone of the symbol. The personal truths that are drawn forward using symbols may or may not be relatable to others peoples experience with the same symbol/archetype. Symbols are both objective and subjective simultaneously. Athena the goddess of wisdom worked with owl. In Winnie the Pooh Owl was the voice of reason the gang would go to when they were stuck. Owl is calm, calculated and only exerts energy when needed, it is as though she knows more than the rest of us. 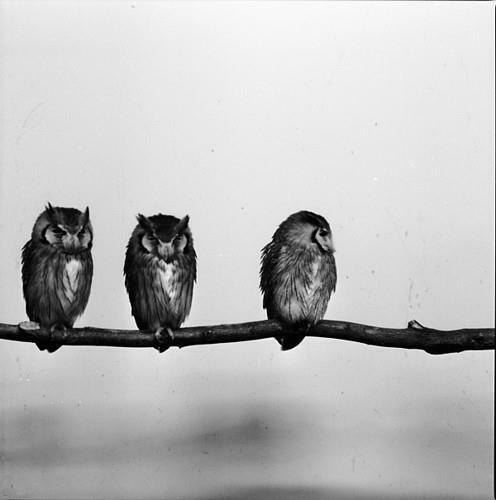 Owls are active at night, which symbolizes the ability to maneuver the unknown, the darkness. The Occult means “The Unknown.” people with Owl energy cannot only navigate the unknown gracefully- they thrive in it. These people often have a passion for metaphysics or think outside the box. Owl is often associated with magic as they symbolize a joining of the known and the unknown. We can see This connection in Harry potter as the owl is the messenger between the 2 worlds. – The Ability to See Truth. Owl is very precise and can sense their prey even when they cannot physically see it. – Seeing all angles of a situation. Owls have an incredible visual radius. They can see all around them, all angles. They don’t really have a blind spot compared to other animals. –Quiet confidence with natural assertive precision if needed. Owls are tactful predators, which adds a fierce element to them. They do not miss their prey very often and move silently. You can see this refined nature within people who carry the Owl Totem. – Ability to be alone. People with Owl as their totem can be alone for long periods of time. They can also hold onto their identity among the influence of others. Owl people know hoooo they are. Why are owls so darn trendy? You may have noticed that Owl has become very trendy at the moment. We’ve got jewelry, clothing, photographs with hilarious quotes on them and paintings of owls saturating the mainstream. This happens when the base archetypes expressed by the animal become relevant to the collective consciousness. 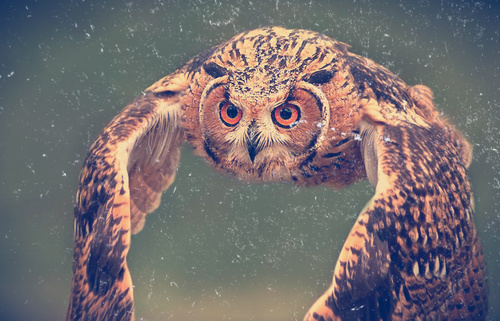 For example many indigos/crystals (or people of the generation coming into maturity) have Owl as a totem as Owls and these individuals both carry life themes strongly centered in expressing: Truth, wisdom, fearlessness, ability to thrive in the unknown etc. The Owl Tribe! When a large enough majority of the collective consciousness has owl as a totem we start to see Owl around a lot. Some people may have owl energy strongly and work with owl their whole life where as others may attract owl as they go through certain phases where her/his influence is needed. Practice connecting with Owl Yourself. 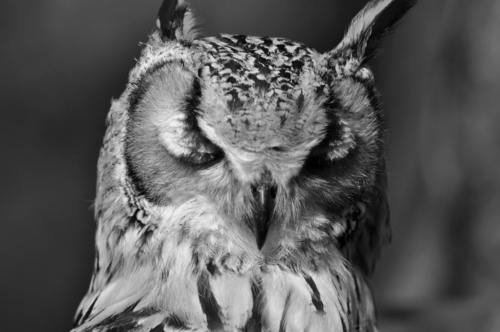 Clear your mind, set your intentions and see what owl medicine* does for you. Totems communicate with you via your spiritual mind or unconscious mind. They will resonate certain ideas, experiences, memories, and feelings out of you. If you are present you may become aware of this communication. Interface with their energy as though it is medicine, as though by the effortless law of attraction you are pulling in messages, answers, concepts and inspiration into you. This process of interfacing with our totem animal or higherself is one of the most effective ways to heal and facilitate integration on a soul level. It also inspires the mind and activates the heart. Many times we have been doing this amalgamation process completely unknowingly and when the shifts finally ground into the conscious mind we often have no recollection where they came from. * I love the term Owl medicine. It is how the Native Americans refer to the process of connecting with their totems. It is a brilliant term to describe the work of a totem animal and it is no wonder the Natives Americans came up with it, as they worked extensively with animal totems, potentially more than any other civilization at the time. On a sidenote: I thoroughly enjoyed writing this piece on owls as I got to justify my unusual and lengthy past time of looking at Owl photos on the internet. This is by request for Drew. Essentially, at their core, ascended masters are spiritual archetypes. They represent specific qualities that we as humans are trying to transcend. They help us integrate these qualities by being the avatars of the transcendence of specific human patterns. They help us to integrate the stages of the human ascension process into our own consciousness; they do so by mirroring specific qualities/ codes to us. This mirroring process is important as the ascended masters that seem relevant to you represent specific transformational codes that need to be integrated within your own life. Pay attention to the ones that seem to stick out to you. 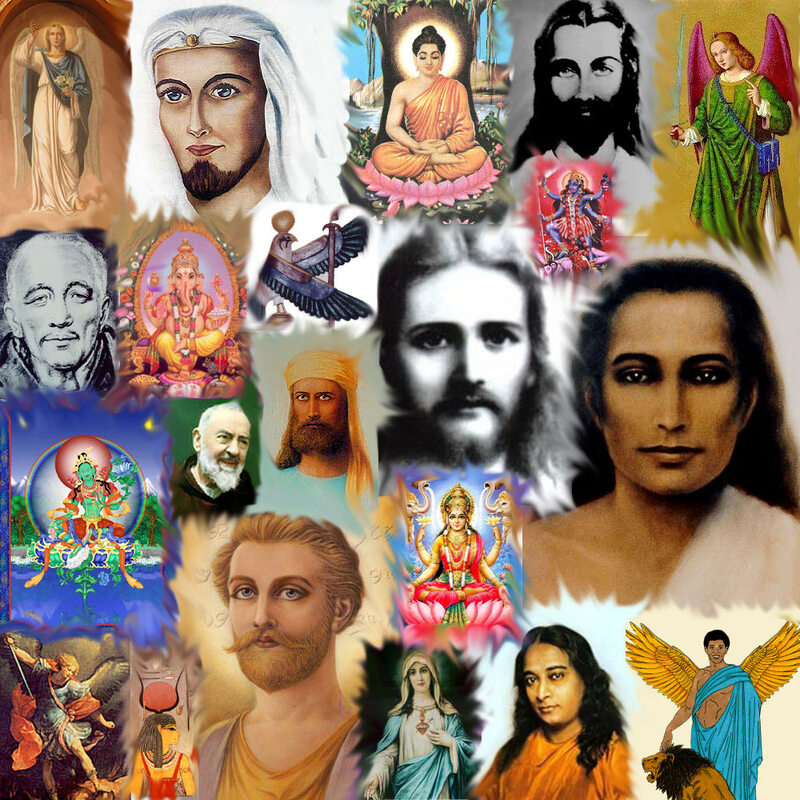 Ascended masters represent a highly evolved, individualized aspect of human consciousness. They represent the next step in human evolution and without them, or the idea of them, we would not be able to ground the concept of raising our consciousness.These are beings who have transcended life on third dimensional Earth. It was part of their life purpose to ascend early and become an avatar. Our consciousness needs experience the next phase of human evolution on some level to be able to comprehend it and have it become real to us. They are master alchemists who have left their ascension tips behind for you to follow. Their energy can be used as a guidepost showing you how to integrate specific lessons, and apply higher wisdom and action to your daily life. Quan Yin: Feminine energy codes to awaken and balance divine feminine. St. Germain: Intellectual integration of spiritual concepts. Malchezidek: Understanding the foundation of energy and geometry. How can they be used for your own development? Remember they are mentors, not saviors. First of all it is important to approach ascended masters as though they are mentors, not saviors or gods. When we approach spiritual guides as mentors we keep our power and the channel for communication remains pure. It is also important to put the concept of an “ascended master” into perspective. We are all ascended masters. Each human soul matrix alive on Earth has transcended human experience. Your codes and your recipes for transcendence are accessible as well. When we dissolve time we see all lives are happening at once and all that information can be tapped into and integrated if we chose. Our oversoul, the soul matrix that contains all of our lives, contains an ascended master. We all have an aspect to our consciousness that has ascended beyond the third dimension- all possibilites are explored and expressed. The alchemical codes of ascended masters are accessible within our own consciousness. It is also important to note that once a person transcends its third dimensional incarnational cycle into a higher dimensional reality all that they discover, all that they have transmuted, and integrated becomes part of mass human consciousness and it does so without distortion (they have transcended ego). That means that all vibrational information from that souls incarnational process on this planet becomes accessible to all humans. It is also important to note that human consciousness itself ascends slightly as we are all connected and draw from the same matrix, like a drop of water raising the level of a glass of water. As their wisdom has been absorbed into the divine matrix we have the ability to channel that wisdom. We can interact directly with that personality construct as it will remain in the human consciousness to be accessed as a piece of the puzzle. The information that comes through will always be through our own personal filters as information drawn from ascended masters comes through as the result of your conscious, or unconscious inquiry, in the imagery and language that you use. That is why many different people channel the same master and say slightly different things. The master is the base frequency but you are running it through your own filters once you begin working with them. I am going to allow myself to open and connect with an ascended master in order to receive guidance on ______. I intend that all communication be for my highest good and the highest good of all others involved. I clear the channels in my heart and fill them with love for this communication. I am safe, and I am open to clear communication. 2) Look through a deck of cards or a book that lists all of the ascended masters. Allow your natural resonance to select a master. Trust that draw. 3) Read their name, say it out loud. introduce their energy to your consciousness. Ask them a question. 4) Give them space to begin connecting with your energy and providing insight. You may get visual flashes, you may hear words or you may get a strong know or download you feel you need to write down. 5) Allow information to flow knowing that all valid information will magnetically stick in your mind. Begin to write down or record the insights. Once you have grounded some information (it may or may not make sense at this point) continue to connect with the master. Go back and forth connecting and grounding the information until you feel the stream of energy fade or you no longer with to communicate. 6) Feel gratitude to the master for connecting with you. Give yourself time to understand what you have experienced. Many times high vibrational information takes a while to percolate down into our conscious logical mind. You may notice after a few days that insights begin coming forward as a result of this exercise. After a shocking conversation with my hairstylist I knew I had to come straight home and write this piece. My hair stylist shared her encounters about intuitive she used to know, and it horrified me, to say the least. This intuitive told her that she was going to die young, become homeless and be barren. As an intuitive myself I cannot imagine what this “psychic” was doing when she relayed those messages. It is absolutely ridiculous to speak in finite terms about such topics as an intuitive, especially in this day and age. It reminds me of the olden days of psychics when they would view peoples futures as one inevitable destiny as opposed to a series of potential outcomes. 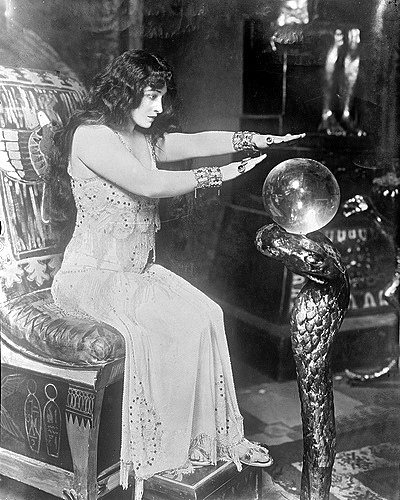 The days where very little was understood about psychic phenomena and many psychics enjoyed the power of shocking people with drastic interpretations of their future. That said, it is my intention to provide some clarity on the new role of the psychic and how an intuitive should function. The energetic environment is shifting therefore so is the role of the intuitive. If you are in anyway interested in new age literature you will probably be well aware of the speeding up or the rising of ones consciousness. One direct result of this rising of consciousness is the malleability of our futures. In the past our futures were more set in stone we were less aware of our patterns and our own karmic cycles so it took more time to change ourselves and therefore shift into a different future timeline. Now we have the transformational light from the central sun (which is the archetype of our higher-selves) penetrating the planet and awakening/ magnifying our own consciousness. This phenomena has made it much easier to see ourselves honestly and begin manifesting like a champion. These light waves act as mirrors on a higher dimensional level revealing to us our true nature and giving us the opportunity to work directly with spirit ourselves. An intuitive’s clarity and ability to advise is directly related to their health (mind body and spirit of course!) . It is also becoming common knowledge that a psychics insights are going to be directly linked with their own health. Intuition is not a mysterious pure ability only special people have. It is an ability we all have and its clarity is in direct correlation to how balanced you are as an individual. Hurdles or problems clients face should be handled with tact in a way that is digestible and empowering. It is inappropriate, unprofessional and unrealistic to speak in finite terms about negative patterns if they are encountered. At the core of every being is awesomeness and that is the future that is best focused on when doing a reading, as ultimately that is probably why a client has connected with you: to understand how they can get on track to their greatness. In a very big way we are moving beyond having psychics or any council give us insight. We are awakening to our own higher selves where in we become our own teacher, our own psychic and our own healer. A hundred years ago certain people would incarnate on the planet to play the role of the healer, the psychic, the spiritual teacher. They had specific incarnational charts that allowed them to hold high amounts of spiritual energy with in their bodies, and interpret that information. Now, we are all capable of holding and interpreting spiritual energy. We are all healers and psychics we just don’t realize it (yet). So, now the question becomes: what is the role of the intuitive if we are all capable of intuition? The role of the intuitive is to view peoples lives as a fluctuating unique expression of divine energy. It is an intuitives job to keep in mind that at any one moment there are many futures available each in accordance with ones core frequency. It is our job to relay information that will help you align with your highest potential which will ultimately feel like joy, happiness and peace and be rooted in love. This process feels different than reading people based in the assumption that there is one future/limited futures or that an intuitive is the only individual that can understand spiritual phenomenon. It is our logical mind that wants outcomes to be set in stone, not our spiritual mind. Our logical mind wants to know with certainty what will happen in the future however in reality there are only probabilities based on an individuals base resonance. In the past we were not living in an environment with such intense waves of higher consciousness moving through us so it seemed as though there were less probable futures or that we had a specific destiny. It was not uncommon a century ago to work through one karmic pattern in a lifetime, it would often take several lives to integrate what we are capable of now. That meant you had a very predictable spectrum of energies pulling your future toward you- your future was much more “predictable.” This massive karmic releasing means our futures are in flux all the time, the more we release the more our future shifts to match our personal higher vibrational spectrum. Ultimately our environment has shifted due to waves of higher consciousness permeating our planet and consciousness. As a result people are becoming more aware spiritually and more aware of their patterns. Many people are doing their own work, and doing it very well using theirr hearts as their guide, as ones own higherself/heart is always going to be the most valid source of advice healing and inspiration. Due to this empowering shift in humanities consciousness the role of healers or psychics has changed. The focus now shifts to helping others heal themselves and use their own intuition. Intuitives in line with the shift must now see people as divine bundles of massive potential that simply need to be reminded who they are when they lose sight of theselves. It is the intuitives job to see the big picture and remind you, when you cannot see it fully on your own.